Today this blog might as well be called Canada Love. It’s all love, all day. That’s because it’s Canada Day! 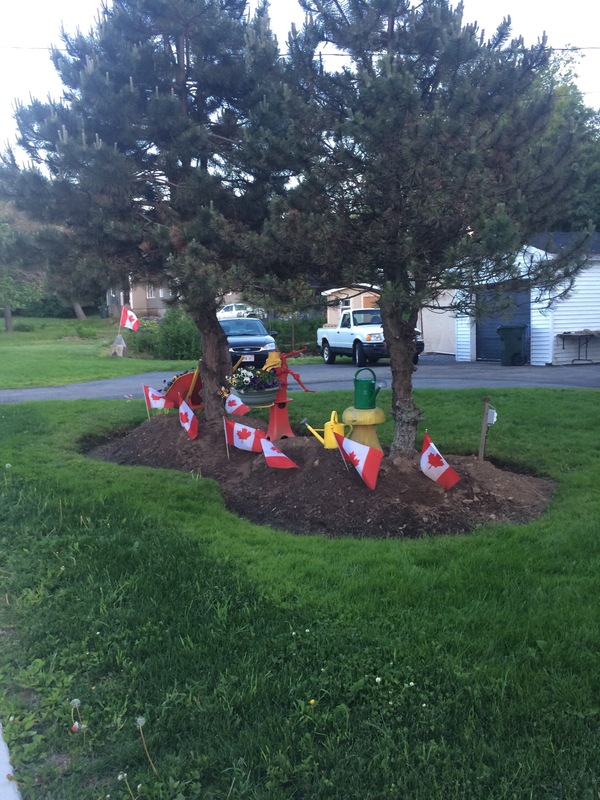 The one day where Canadians go wild with red and white pride and plaster that classic maple leaf everywhere (except maybe during the Olympics). And we have good reason to be proud. We have an embarrassment of natural riches in this country, and so much space to roam that it’s ridiculous. We are the second largest country in the world, with the largest amount of water area and the most coastline. It’s no wonder we’re such water-loving fools. Our landscape is also incredibly diverse: from the red clay soil of PEI to the forests of Quebec to the expanse of the prairies to the majestic Rocky Mountains to the lonely arctic tundra. It’s all impossibly beautiful. People like to find fault with the places where they live. It’s natural. To complain is human. And that’s one of the ways we make things better. Canada is not perfect, but we have freedoms and opportunities that some people in the world can only dream of. In Canada, girls are free to go to school and become whatever they want to be. We are free to protest the decisions of our government without fear of persecution or death. Our country is run by people that we elect. Medical care is considered a right, not a privilege. People are free to love who they choose. “No Canadian can stand and look at this cluster of buildings (…) without feeling that somewhere on this Hill, perhaps by a happy accident, architects, masons and stone carvers have managed to grasp and materialize the beauty of Canada, the vastness of its land, its loneliness, its youth and its hope” – Bruce Hutchison, The Unknown Country, 1944. I love it for its beauty but also for so many other things. I love our commitment to living peacefully and helping others to do the same. I love our diversity. We are a mish-mash of cultures and backgrounds and I love that we are always ready to welcome more. I love that we believe the less fortunate of our population deserve to have their basic human rights met, and we are willing to work a little harder to ensure it. Mostly, I love Canada for its hope. A hope that there is a future where many cultures can live harmoniously together through mutual respect and cooperation. As Bono famously said recently, “The world needs more Canada”. Here’s a song I usually play every Canada Day, from a proud Maritimer and Canadian, Classified. Happy Canada Day!